Embark on the vacation of a lifetime with Sunwing’s outstanding roster of cruise vacations! Sunwing offers an array of spectacular cruise ships to suit all tastes and budgets from cheap cruises to all inclusive cruises departing from picturesque ports in Florida and the Caribbean. Choose from a wide selection of cruise packages including round-trip flights with Sunwing Airlines, pier transfers, accommodations, meals on board and more. Book your Sunwing cruise vacation today and look forward to soaking up the sun at sea in vibrant tropical destinations! 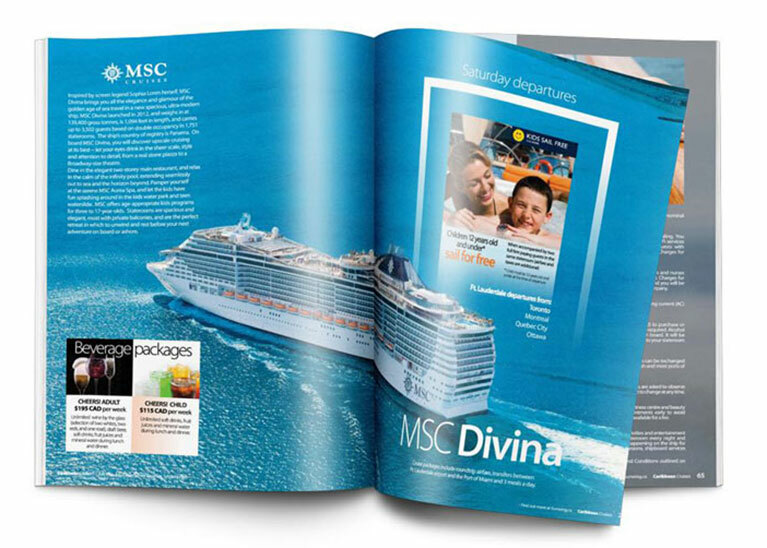 Flip through the pages of our new cruise brochure and discover unique new itineraries and a few returning favourites. Sail away with Sunwing… to your next port of call. English is widely spoken by onboard crew. Most cruise ships sailing the Caribbean use US dollars for onboard purchases unless otherwise noted. All purchases made onboard will be added to your shipboard account. You will receive an itemized bill of all purchases the night before disembarkation. When you provide your credit card in advance, all onboard charges will be charged to your credit card. There is no need to visit the Pursers desk to settle your account if you have left a credit card for all purchases. If paying by cash you must settle your account with the cruise line the evening prior to disembarkation. Those paying by cash or travelers cheques will be required to leave a cash deposit at the beginning of their cruise. 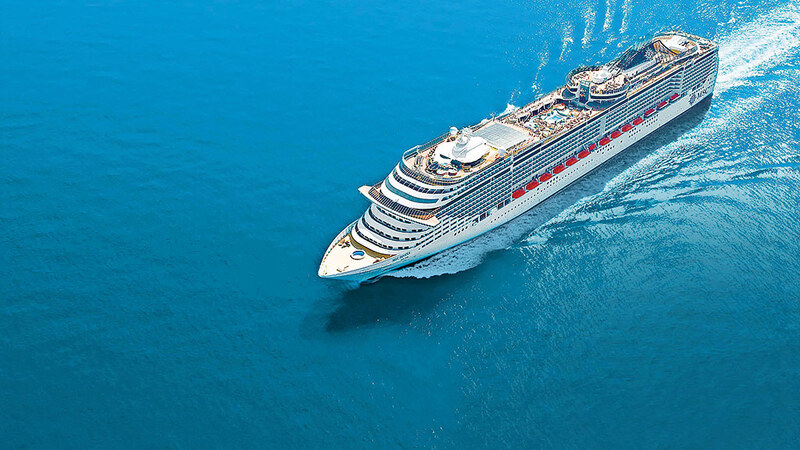 Cruise lines accept most major credit cards, have currency exchange and ATM’s onboard which provide US cash unless otherwise noted - refer to the specific Cruise line/ship profile for details. Travellers cheques and most major credit cards are accepted in the various ports of call. Casual sportswear, including shorts, lightweight pants, swim wear, beach cover, t-shirts are the order of the day at sea and ashore. Low heeled, rubber soled shoes for strolling the deck, as well as comfortable walking shoes or sandals are recommended. Smart Casual for evening is the norm. Evening attire is suggested for formal nights (cocktail dresses or gowns for ladies and jackets with tie or tuxedos for men). 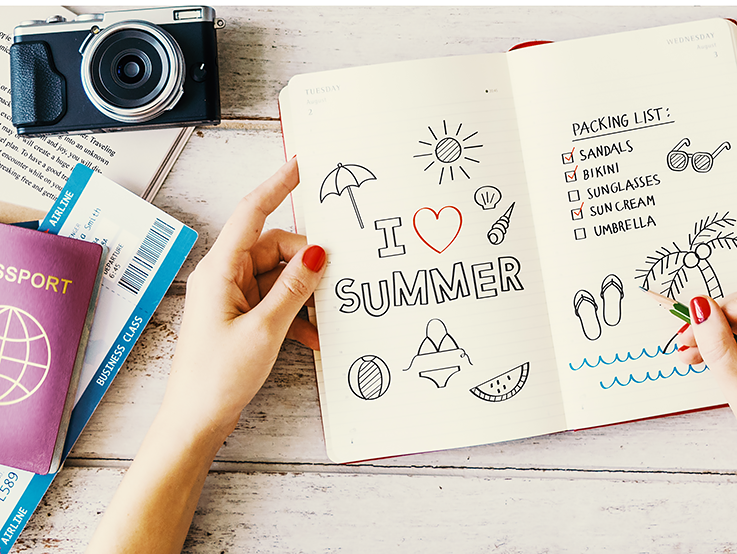 Sunwing suggests the recommendations below while traveling on a cruise to ensure that you have a safe and enjoyable holiday. The ship will board passengers at specific times as outlined in your cruise documents. Please have your Cruise line documentation ready for check-in at the pier. Based upon your arrival and check-in time, it is possible that your stateroom may not be ready. 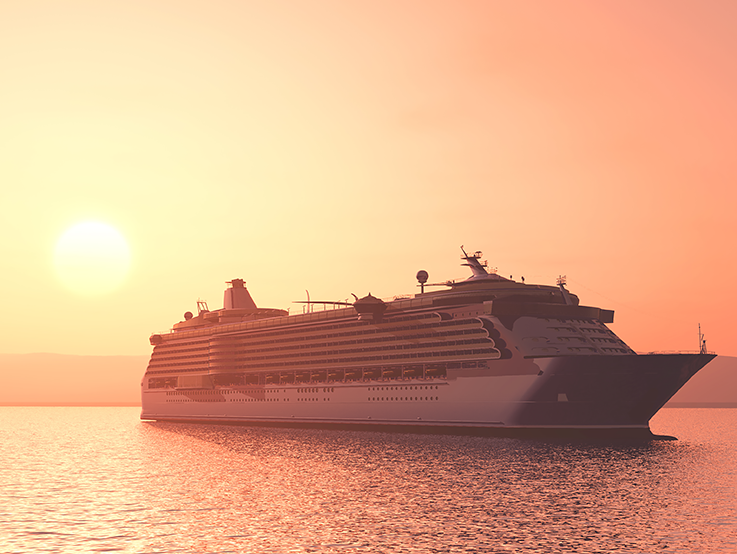 Most cruise lines require that you provide them with complete and accurate immigration information online prior to sailing. Failure to do so will result in delayed check-in and, possibly, denied boarding. If you do not have online access contact your Travel Agent to assist. Pack your bathing suit, shorts and sunscreen in your carry-on so that you can enjoy the ships facilities until your stateroom is available. Spend time on embarkation day to familiarize yourself with the ship and all the facilities onboard. Easy to read guide books are provided. 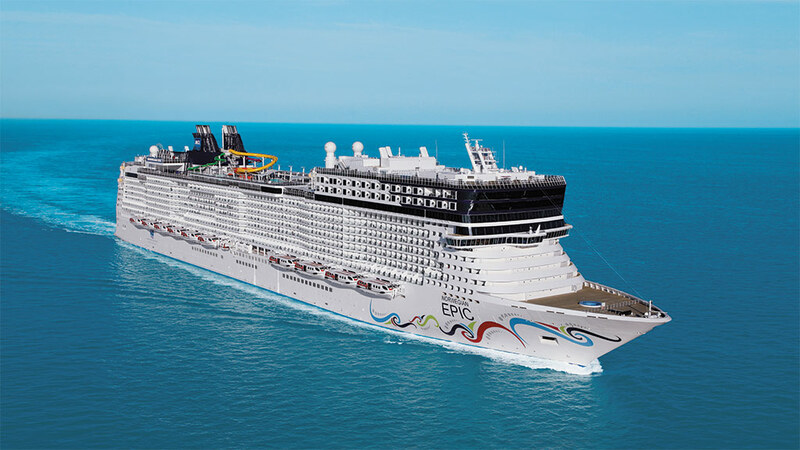 Check out the dining venues, book a spa treatment, grab a bite to eat or head to the pool for a dip – all before the ship sets sail! Your friendly onboard crew are available to assist. Please contact the local cruise line representative with any questions or issues that may arise during your cruise. Accommodation The tap water onboard is purified and therefore it is safe to drink. Bottled water is available for sale on the ship and can be purchased shore side at local stores. It is your responsibility to determine what documentation is required for travel to your destination including the various ports of call, and for your return to Canada. Sunwing Vacations will assume no responsibility whatsoever for passenger(s) denied carriage by the airline or refused entry into any country. Canadian Citizens can contact Foreign Affairs Canada at //www.travel.gc.ca for assistance in obtaining this information. Citizens of other countries should check with the relative Tourist Board or Consular Office of the destination in which they are intending to visit. Sunwing Vacations strongly recommends that you carry a valid passport when travelling outside of Canada. 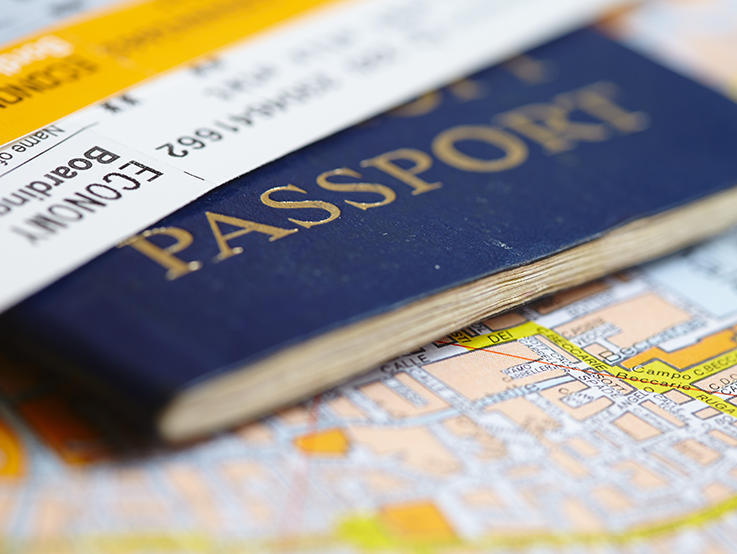 Please note that several countries now require that your passport be valid for up to six months after the completion of your travel in order to be accepted by them as a valid travel document. Families love to cruise! Cruise lines offer an array of wonderful activities, entertainment and venues for various age groups. 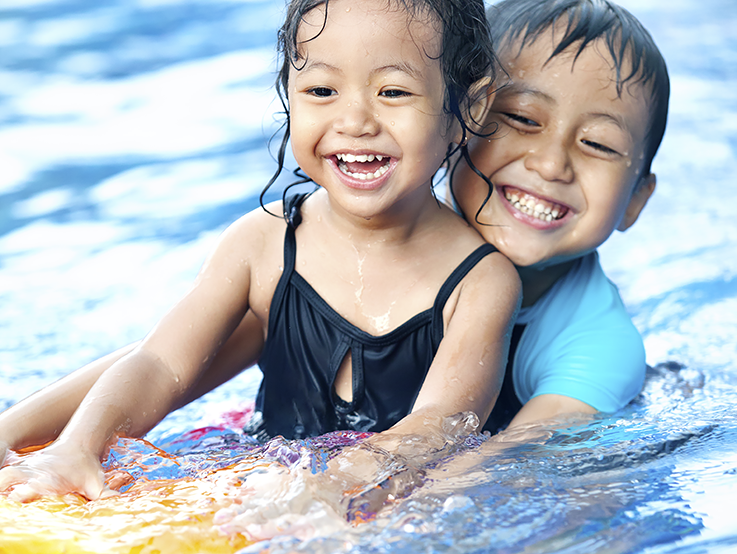 The children’s centres are supervised by trained cruise line staff who keep young cruisers busy! Cruise lines also offer kid friendly menus. The children’s programs have sign in/out policies. A great way to keep in touch with children onboard is to bring along good quality walkie-talkies that have a number of stations. On larger ships, there are some areas where walkie-talkies don't work). Another suggestion is to leave a pad and pen on the desk in your cabin where the parents and child can leave each other notes. Also, give your children a definite time when they have to return to the cabin or meet you at the buffet for lunch, etc. River cruise vessels do not have children’s play areas, etc. and certain age restrictions apply. See cruise lines policies for more information. Most cruise line documents are issued via e-tickets with some requiring mandatory information prior to release of these documents. Please select the cruise line you are sailing with above, and review the Mandatory Web Check-in tab for full details and cruise line registration website(s).